WEBINAR SNAPSHOT: Learn how to best use objections when arguing cases in Alabama courts. When you’re in court, when should you object—and when should you refrain? You know you must keep inadmissible and harmful evidence out. Not objecting may preclude an evidentiary issue from being raised on appeal. On the other hand, objecting excessively can irritate the trial judge and cause you to lose credibility with the jury if your objections are constantly overruled. Even if an objection is sustained, the jury may assume the answer to the question would hurt your case. If you object during cross-examination, the jury may think your witness is in trouble and the testimony is damaging. Not least, frequent objections disrupt the flow of the case and add to the length of the trial. Jurors—and trial judges—like trials to keep moving, and you may lose more than you gain from objecting too often and without a clear purpose. So how can you walk a fine line—and use this valuable tool judiciously? Use this on-demand webinar for a valuable, practical look at when to lodge an objection at trial, when to hold back. You’ll learn about the impact of objections on juries and judges, and how smart use of your objections can swing the case your way. Should you object during your opponent’s opening statement and closing argument? Learn how to use objections effectively in Alabama trial settings with this on-demand webinar. Effective Use of Objections in Alabama Trials: From Jury Selection to Closing Argument — is just $99. 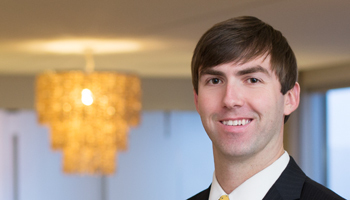 Joseph Leavens is an attorney with Balch & Bingham LLP, in their Birmingham office. He focuses his practice on joint use and pole attachment issues for utilities across the United States. He also has experience with products liability defense, construction disputes, and insurance coverage analysis for both insurers and insureds. He graduated from the University of Virginia with a B.A. He earned his J.D. from Washington University in St. Louis School of Law. He is a member of the Defense Research Institute (Young Lawyers Steering Committee), the Alabama Defense Lawyers Association, the Birmingham Inns of Court, and the Birmingham Young Lawyers Association.